Here is a typical coffee cake from Portugal! 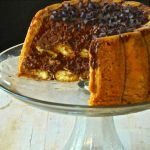 Bolo de bolacha is a cake that is very easy to make, and that just requires a little rest before it can be tasted. Its particularity ? The Maria biscuits that are used in the recipe. Bolo de bolacha, or “biscuit cake”, consists of alternating layers of biscuits soaked in coffee and buttercream. It is reminiscent of tiramisu, for the biscuits dipped in coffee. 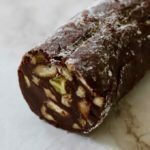 What is bolo de bolacha? Bolo de bolacha is a no-bake cake that is prepared with Maria biscuits. These biscuits are very similar to rich tea biscuits. In Portugal as in Spain, they have a long history and people tend to be very nostalgic about them. Maria biscuits are kids’ favorites in Portuguese homes. They have crossed generations and borders. Thus, for the Portuguese, eating a Maria biscuit is a way to reconnect with their origins. These biscuits are so linked to the identity of Portugal that many think that their recipe is originally Portuguese. Well, not really… as the the origin of Maria biscuits is actually … British! What is the origin of Maria biscuits? 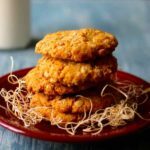 In 1857, two bakers, James Peek and George Hander Freans, of Dockhead – a town near London – decided to make and sell biscuits. They went around with a trolley featuring their brand “Peek Freans”, to sell their biscuits all over the country. Soon after, these biscuits became very popular and the two bakers moved to Clements Road in the Bermondsey neighborhood where they opened their first biscuit factory. To date, Bermondsey, the Southwark district in South London, is named “Biscuit Town”. In 1874, on the occasion of the wedding of the Grand Duchess Maria Alexandrovna of Russia with the Duke of Edinburgh, Alfredo, the second son of Queen Victoria, the two bakers created a new biscuit that they named Maria. The name of the duchess is also engraved on one side of the biscuit. But back to Portugal! 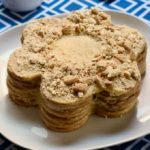 Of course, the Portuguese did not create the original recipe for these biscuits but they have been very creative with recipes based on Maria biscuits! And coffee-flavored bolo de bolacha is a perfect example! 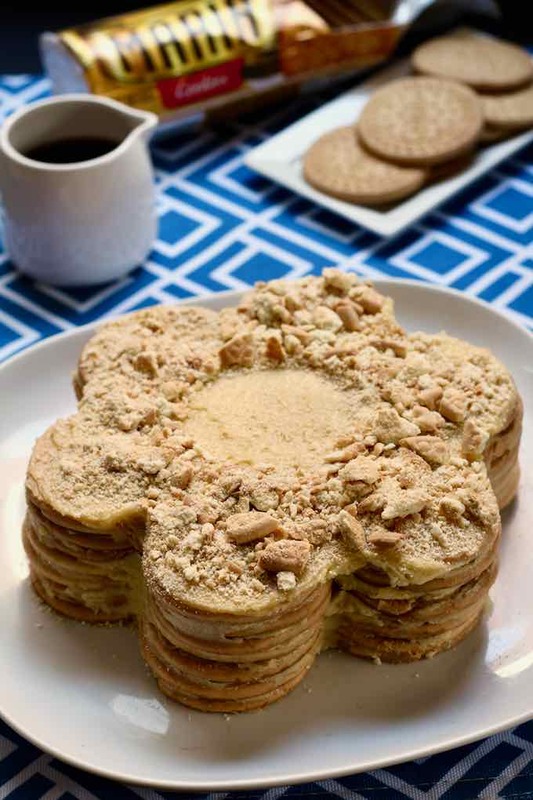 It consists of Maria biscuits that are soaked in strong coffee, as well as buttercream. The Maria biscuits have a circular shape. Their edges have an original ornamentation found on the dresses of the Duchess. It is considered a model in the form of a “key”. They would be representative of a Russian pattern like those found in the tiled floors of official buildings. Maria bolachas were popular in Spain at the end of WWII. It was at this time, in an effort to produce enough bread for the Spanish nation, that wheat was cultivated intensively. Surpluses made it possible to make these famous biscuits, which today represent 40% of the best-selling biscuits in Spain. In France, people enjoy a cake that alternates layers of butter dipped in coffee and chocolate ganache. This cake has no official name, but many of us still remember it, accompanied by a glass of milk as an after school treat. In Italy, tiramisu consists of alternating layers of ladyfingers soaked in espresso and cream made from mascarpone. In Iceland, Vínarterta is a layer cake prepared with layers of biscuits filled with chocolate ganache. Its particularity is that it contains oatmeal in its dough. 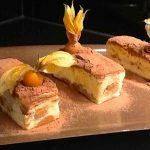 In Austria and Hungary, you can find Esterházy torta! This cake was created in the late nineteenth century by the pastry chefs of Budapest as a tribute to Prince Paul III Anton Esterhazy of Galanthe (1786-1866), a diplomat of the Austro-Hungarian Empire. However, there are different variants! 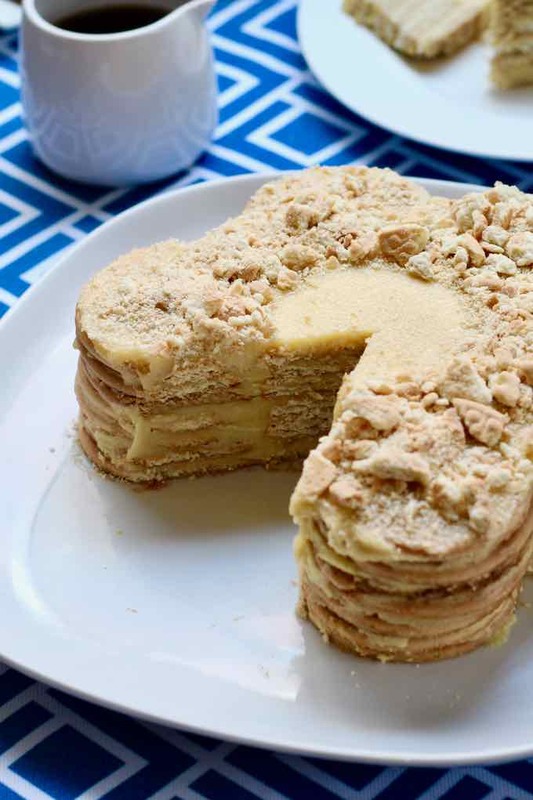 In Austria, this cake is a layer cake that consists of layers of almond macarons and buttercream flavored with coffee liquor or amaretto. In Hungary, almonds are replaced by walnuts in the macaron. The buttercream is also flavored, often with Kahlua liquor, a coffee-flavored liqueur. In Russia, medovik cake is a must! Its ultra thin layers of cake contain honey, alternating milk jam (sgouchonka) and rich Russian sour cream (smetana) between layers. Like for the bolo de bolacha, crushed biscuits are sprinkled on the top of the cake as a decoration. In Bavaria, the local layer cake is called Prinzregententorte. It consists of layers of biscuits and chocolate buttercream. Its particularity: apricot jam between the last two layers and a mirror chocolate glaze. The Prinzregententorte originally featured 8 layers, and each layer represented one of the 8 districts of Bavaria. After the Second World War, Rhineland Palatinate was excluded from Bavaria by the US military government. Since then, the cake has included 7 layers of biscuits. In the United States, these no bake layer cakes are very popular and some are known as icebox cakes. They come in all varieties: pumpkin spice ice box cake, s’mores icebox cake, etc. In Malaysia, you can enjoy batik cake (kek batik), a no-bake biscuit cake that alternates layers of biscuits and chocolate buttercream. This cake is very popular during Christmas and Eid el ftair (Ramadan). 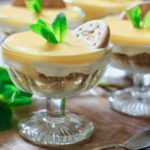 Hoping to bring you some sunshine from Portugal with this recipe, I take this opportunity to serve me a share! 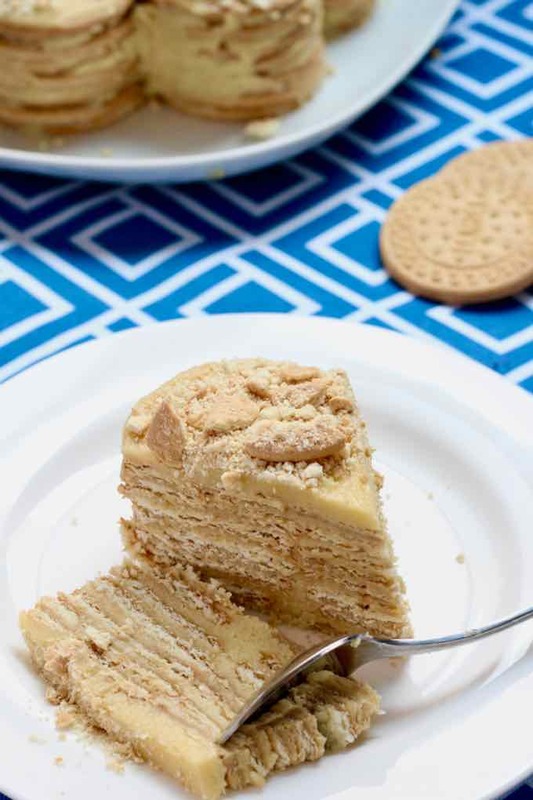 Bolo de bolacha, "biscuit cake", is a delicious traditional no-bake Portuguese cake, that is prepared with alternating layers of biscuits soaked in coffee and butter cream. In the bowl of a stand mixer, beat the butter and sugar for 10 minutes. Add the egg yolks and beat for 2 more minutes. Set aside. Set aside 5 cookies for the final decor. Dip 7 biscuits in the coffee and place them in a large round serving platter: 6 biscuits in a circle shape and a biscuit in the center of the circle. Spread some cream on the first layer of biscuits. Repeat both operations until the biscuits are exhausted, making sure to set aside 5 biscuits for the decoration. Divide the remaining cream over the top and sides. Smooth out the top and sides with a spatula. The layer of cream on the sides should be thin. Before serving, roughly crush the remaining biscuits. Sprinkle crushed cookies on top of the cake. 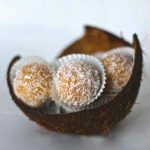 Extremely informative, especially for individuals such as myself who love to try recipes from around the world! I’m extremely grateful for your suggestions! You are welcome Martinho. Thanks for the compliments.